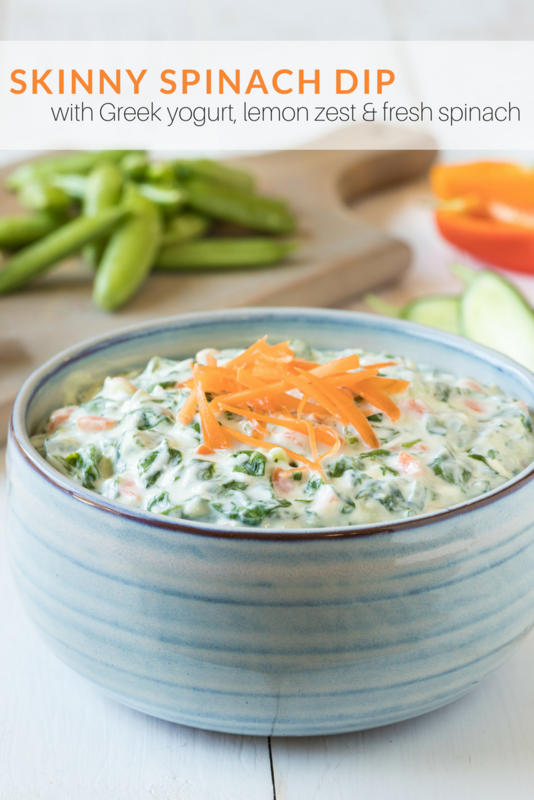 If you are planning your Super Bowl menu, be sure to add this delicious Skinny Spinach Dip to the menu! It won’t disappoint! When you make your own spinach dip, you control the ingredients and amount of fat that you put into a dish. 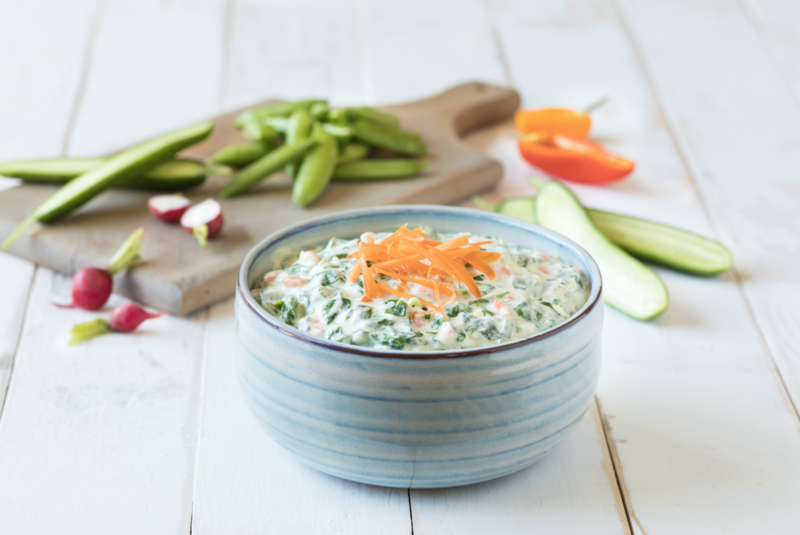 This recipe uses Greek yogurt, low fat cream cheese, fresh baby spinach, carrots and scallions and get’s it’s flavor from fresh garlic, lemon juice and zest, salt and a pinch of cayenne pepper. It’s really good and you can feel good about eating it! Serve hot or cold! 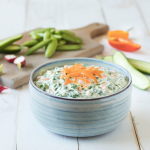 See 5 other dip options using Greek Yogurt in lieu of mayo in our healthier Game Day Snacks Post. In a large bowl, mix to combine Greek yogurt and cream cheese. Add remaining ingredients and stir until thoroughly incorporated. Serve. 1. For a peppery twist, replace half of the spinach with roughly-chopped baby arugula. 2. This dip is also great served warm. Place in a 350º oven for 20 minutes, or until bubbly. Add a little freshly-grated parmesan cheese to the top before placing in the oven for a delicious crust.